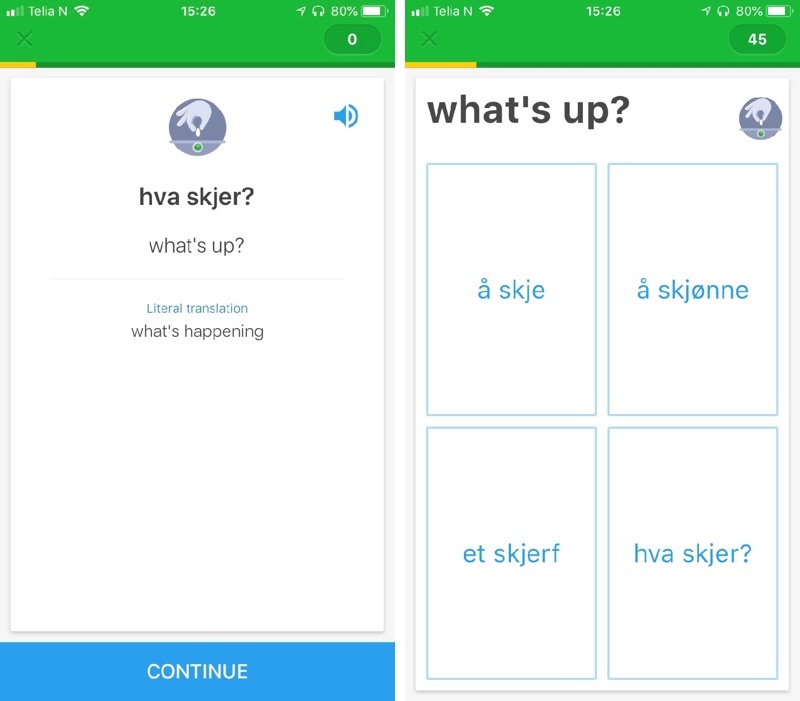 This free-to-use smartphone app is a great companion when revising Norwegian lessons. 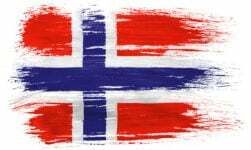 Part of our series on how to learn Norwegian. 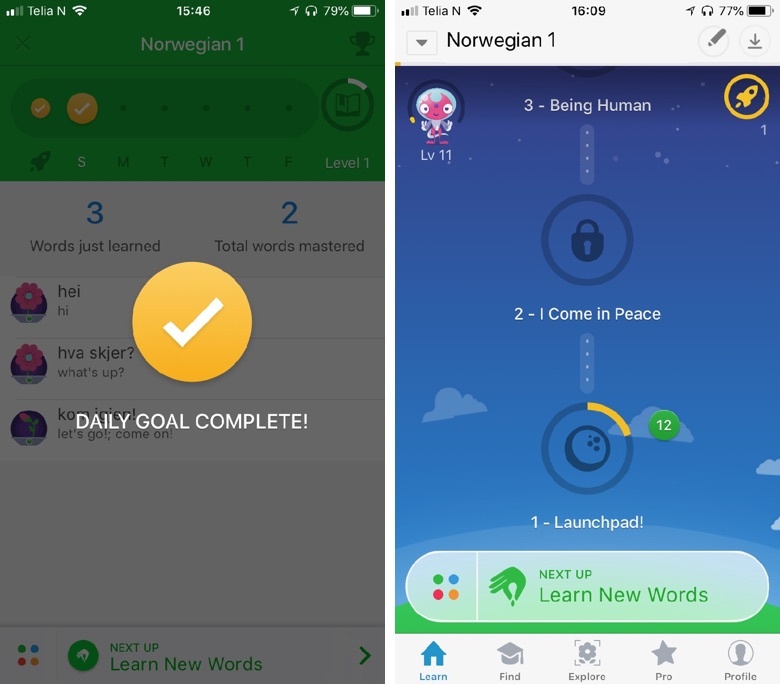 A few weeks ago we looked at the Duolingo app for learning Norwegian. This time around, it's the turn of Memrise. 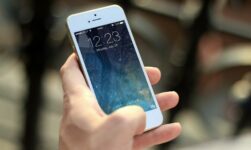 The app features courses for more than 100 languages, and unlike Duolingo, uses its concept to teach other topics beyond languages. But of course, the focus of this review is its Norwegian content. Memrise focuses heavily on teaching words and phrases through a spaced repetition concept. Spaced repetition is a popular technique for learning that is based around increasing the intervals of time between the reviews of previously learned material in order to exploit the psychological spacing effect. What does this mean in practice? Once you've learned a word or short phrase, Memrise will show you that word again in a couple of days, then again in a couple of weeks, then again in a month, and so on. I've just made up those times, but you get the idea! Each lesson begins with a couple of new words or simple phrases. In the very first module, you'll be learning words like hei, takk, kom igjen, and hva skjer? Not the most taxing words of course, but the last two do introduce some key pronunciation principles very early on. So, how does the app teach you the words? Lessons usually begin with a couple of new words or phrases. 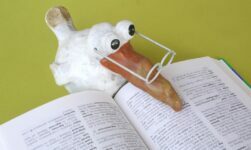 Usually, you are given a word/phrase in English or Norwegian and asked to translate it, sometimes by selecting from a shortlist and other times by typing. 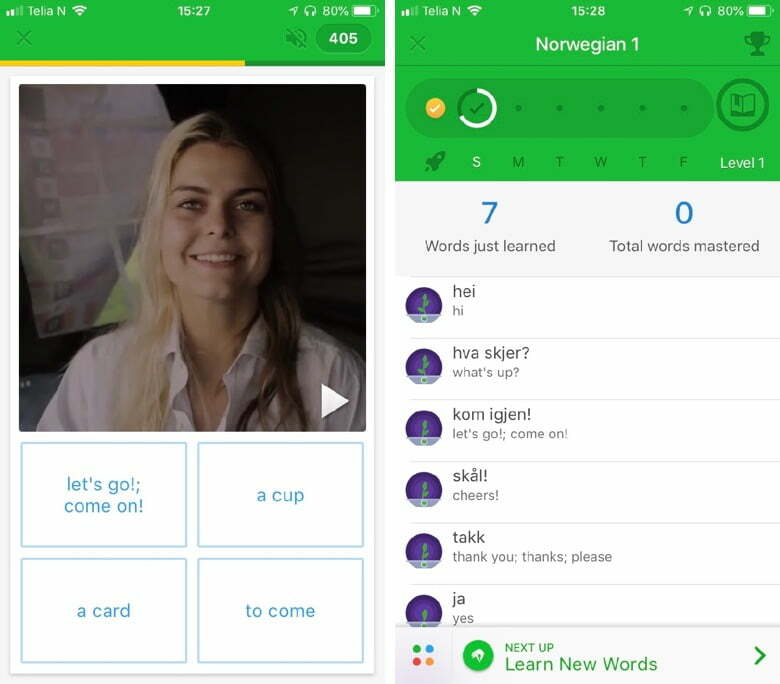 The app also features short video clips of real Norwegians pronouncing the words. This is really useful, as oftentimes these apps pronounce the words super clearly, whereas real Norwegians don't do that! Another core concept of Memrise is studying every day, and the app has in-built gamification features to encourage that. The most obvious is the split of the courses into levels, and the recording of a streak (the number of consecutive days you've studied), which can then be compared to friends. 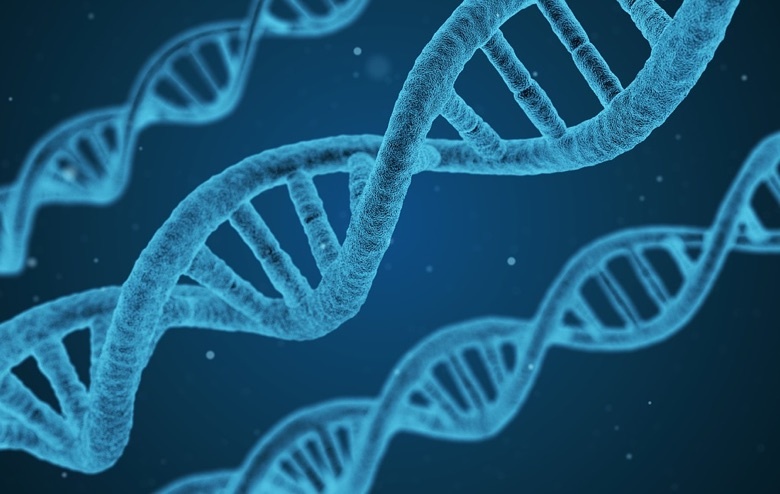 Elaborate encoding: The commonest way people try to learn facts, concepts, vocabulary and so on is simply to read the material in the hope that our brains will automatically register what we’re studying. But decades of memory research shows that this is a remarkably slow and ineffective way of learning, and one of the main reasons for this is that it doesn’t encourage elaborative encoding, which means relating what we’re trying to learn to what we already know. Choreographed testing: When you test your memory (casa = ?) you’re not just assessing how well you’ve learned something. Provided that you pass the test, you’re giving another boost to your memory. 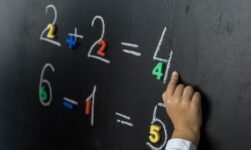 Regular tests are an extremely powerful means of reinforcing learning and Memrise takes full advantage of this by presenting frequent tests on the information you’ve learned. Even when you think you know something and can confidently recall it, tests are beneficial. Scheduled reminders: Memories fade over time so it’s crucial to schedule regular reminders. These could be in the form of simple reviews (‘aburrido’ means ‘boring’) but even better is if they comprise tests. What is the optimal scheduling of these reminders? 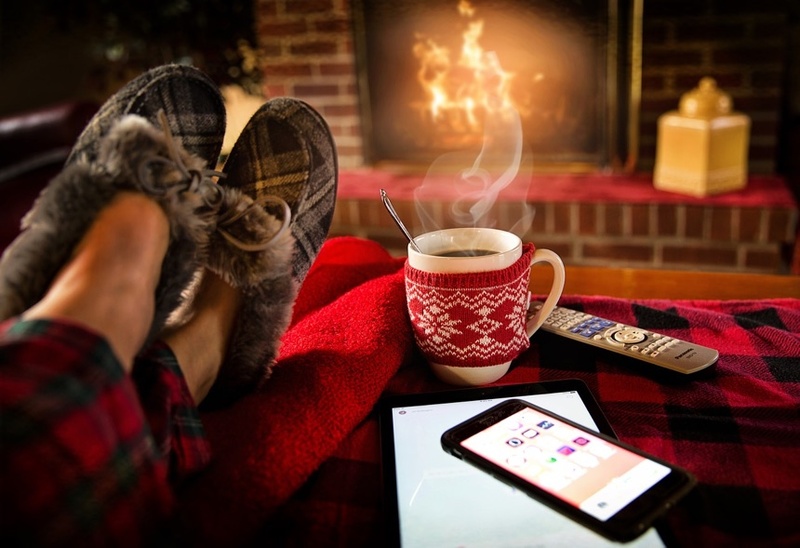 Research suggests that reminders are most effective when they occur just before a memory fades completely and that successive reminders should be separated by longer and longer intervals. 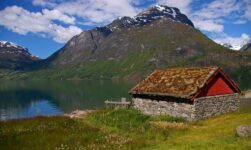 While Memrise is an incredibly useful app to begin learning Norwegian, it should be seen as a complimentary resource to other activities. Once you get beyond the basics, learning using multiple choice options is not efficient. As with Duolingo, Memrise should be used as an ideal accompaniment to a structured language course, extensive reading, and real-world practice. As with Duolingo, Memrise features a pro option which costs 649kr per year, although there is a seven-day free trial. I haven't tried the pro option, but according to the website it features more video content, extra pronunciation sessions, a listening game, a grammarbot, chatbots, and a speed review, among other things. There's also an offline mode, which would be great for when you're travelling or you have a relatively meagre data plan, and you want to protect your streak. Whether the investment is worth the money is a personal decision. The magazine Monocle interviewed the app's founder Ed Cooke. During a three-month hospital stay at the age of 18, he studied memory techniques to overcome boredom. He outlines the value of a good memory in the interview. Have you used Memrise? How does it compare to Duolingo? Which do you prefer? Memrise had too much repetition. It goin boring fast. Bought the pro version but was very disappointed to discover they do not have a chatbot for Norwegian, only for select languages! Well, it’s not free really… you can’t go past the initial level unless you pay. I was disappointed as I used it for Chinese when it was still 100% free and it worked very well!